The pharmaceutical company Qualicaps has banked on the Carmen Baselga_Studio Workshop with the aim of carrying out the design of its European headquarters in Madrid. 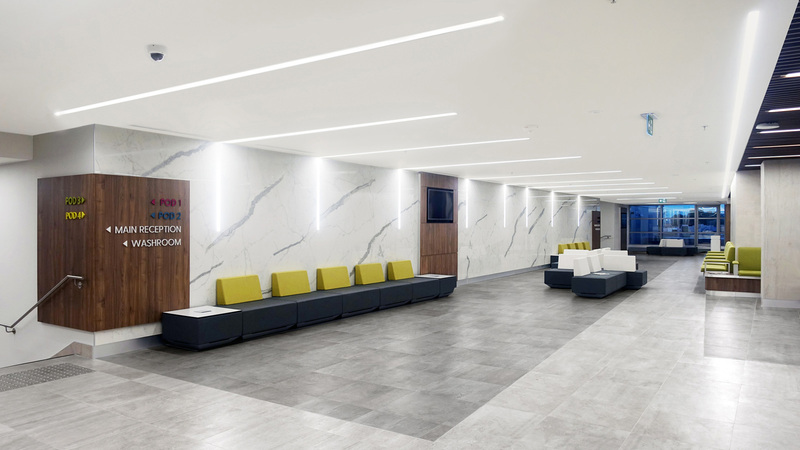 A project where the existing facilities are meant to be adapted to the direction taken by the new management of this company, which has more than 100 years of experience in the sector. 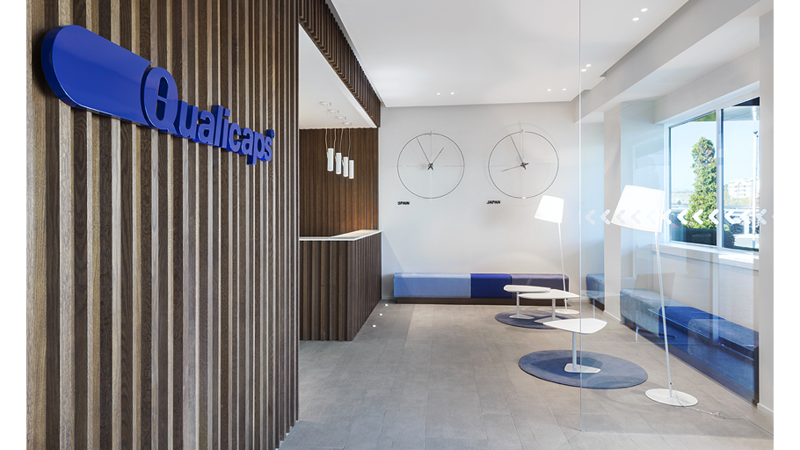 One of the main goals of the project to adapt the Qualicaps’ headquarters to the renewed spirit was to increase the number of offices and thus getting a more flexible layout. Therefore, several meeting rooms with different features depending on its corresponding uses have been included, and so allowing for quick and informal meetings to speed up the decision-making process and the progress of the projects. 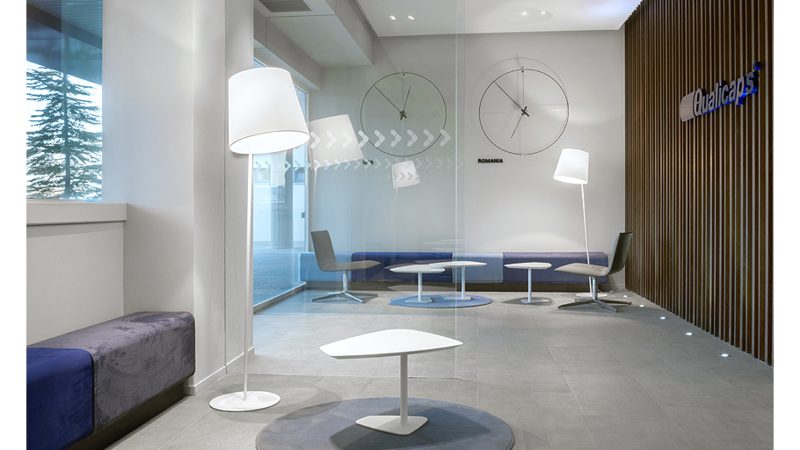 This new layout involved a new configuration of the lobby, where PORCELANOSA Group materials have been used. 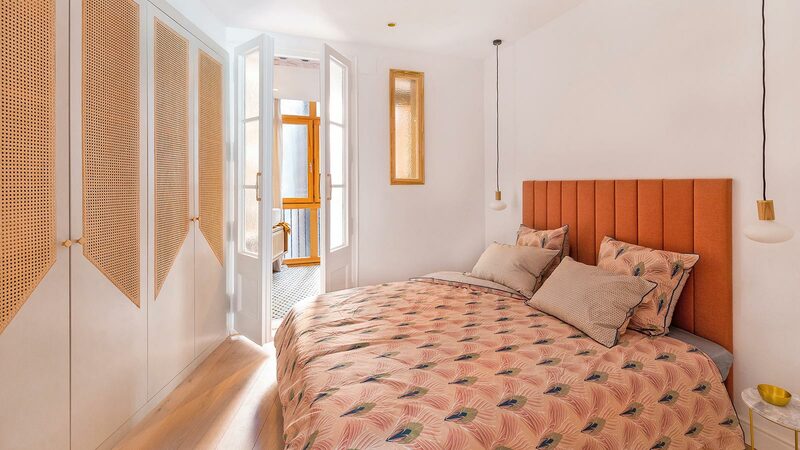 In order to get a pleasant and comfortable atmosphere, Carmen Baselga’s studio has focused on the use of a colour palette including three blue and two neutral colours in line with Qualicaps’ hallmark. The choice of materials such as wood and glass lets the sunlight in which allows natural lighting of spaces, thus creating a more pleasant and stimulating atmosphere for the workers. In the facilities accessing area, and because of its special technical needs, the choice was the through-body porcelain, or to be precise, the On Timber Light Grey Nature by Urbatek in the multiformat version, a resistant and long-lasting material. 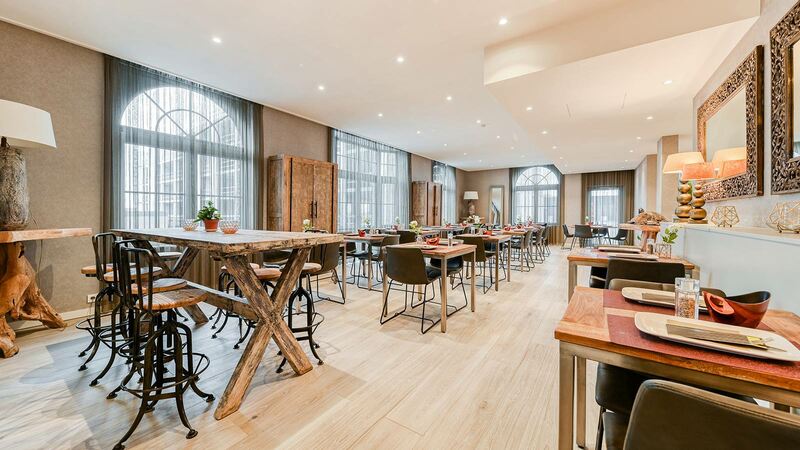 A very low maintenance and easy-cleaning floor with a modern look which mixes the hardness of cement with the grooves of wood resulting in providing the space with warmth and elegance. 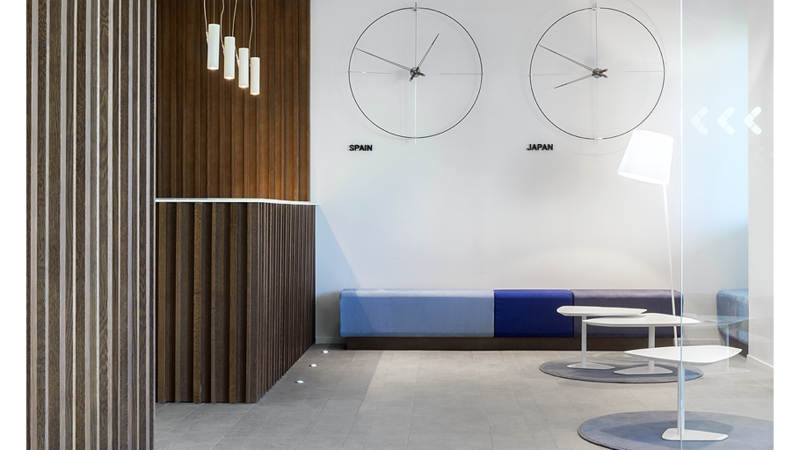 A continuous upholstered bench in different tones of Qualicaps’ blue hallmark re-marks the perimeter of the lobby and demarcates the space, thus showing a continuous appearance in harmony with the rest of the rooms.